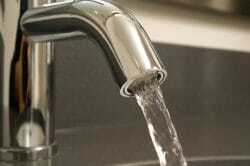 GALION — On Thursday, water service will be temporarily suspended for residents on Crew Avenue. This action is required to allow contractors to connect new water mains on that street. The contractor estimates the shut-off will last approximately two hours. Steps will be taken to ensure the quality and safety of the water. Once service is restored, crews will flush hydrants to remove any air trapped in the lines.